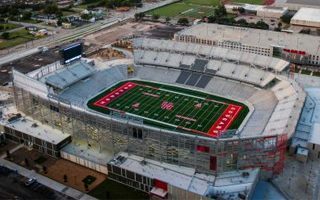 Five months after Cougars fans cheered its first kick-off, the University of Houston's $128 million football stadium has drummed up as much anger and recriminations as school spirit, according to the Houston Chronicle. Students are calling for the resignation of a top UH official they contend hired an unqualified contractor to run events at TDECU Stadium. Audits are underway to investigate stadium funding and the bidding process for the contract in question. Complaints about University of Houston administrator, Carl Carlucci suggest he signed a contract with Aramark and VenuWorks following a bid that reportedly did not go along with standard protocol at the university. VenuWorks had never worked with a venue as large as Houston’s new stadium, which was a concern for the school that seems to have been ignored by Carlucci. The contract also failed to guarantee a minimum of $1 million revenue promised to be raised annually, which the school had been expecting with its contracted vendor. "There is a lack of confidence at this point, in their ability to manage an event to the magnitude of a major college football game with 40,000 fans, without the genuine engagement of and input solicited from the athletic department staff," Hunter Yurachek, the athletics department's chief operating officer, wrote in an email to Carlucci in September. More details on the issue available via the Houston Chronicle.